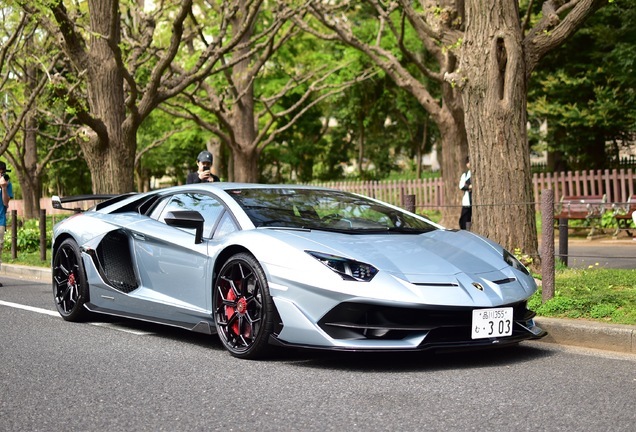 Lamborghini has taken the Aventador to the extreme with the LP770-4 SVJ. 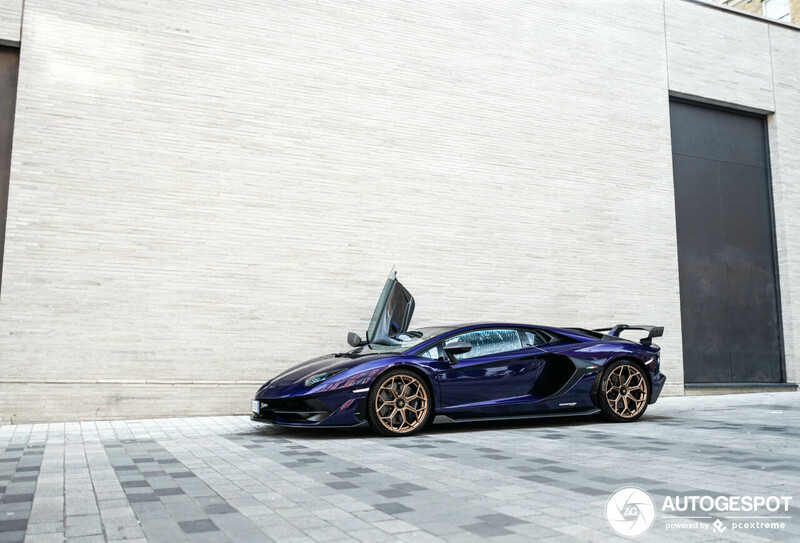 Spotted by TFJJ in London, this SVJ looks stunning in the purple finish. The SVJ's eye catcher is of course the rear wing. It was designed for the best aerodynamic efficiency, based on a new air foil; an optimized ALA 2.0 system; and side winglets to reduce turbulence while providing high downforce on the straight as well as in high speed corners. 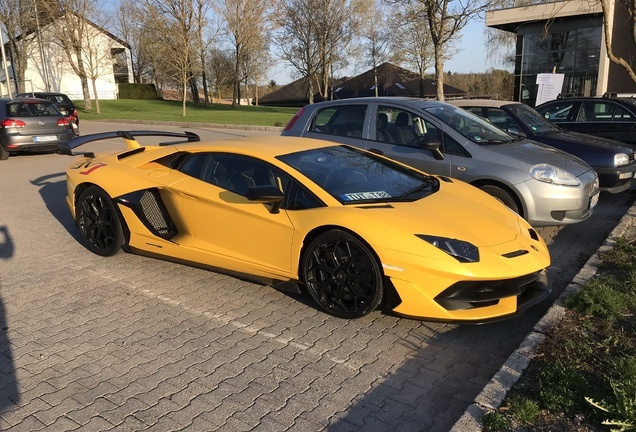 Lamborghini’s patented ALA system was first seen on the Huracán Performante, and has been developed to an enhanced level for the Aventador SVJ, now ALA 2.0, including new optimized air inlets and aero channel designs. The system has been re-calibrated taking into account the enhanced vehicle’s lateral accelerations. The ALA system actively varies aero load to achieve high downforce or low drag, depending on dynamic conditions. Electronically-actuated motors open or close active flaps in the front splitter and on the engine bonnet that steer the air-flow, front and rear.